Accompanied by a selection of Vegetables including peas, carrots, roast parsnips, cauliflower cheese and of course roast potatoes, Yorkshire puddings, swede and gravy. Our carvery is the freshest it can be. 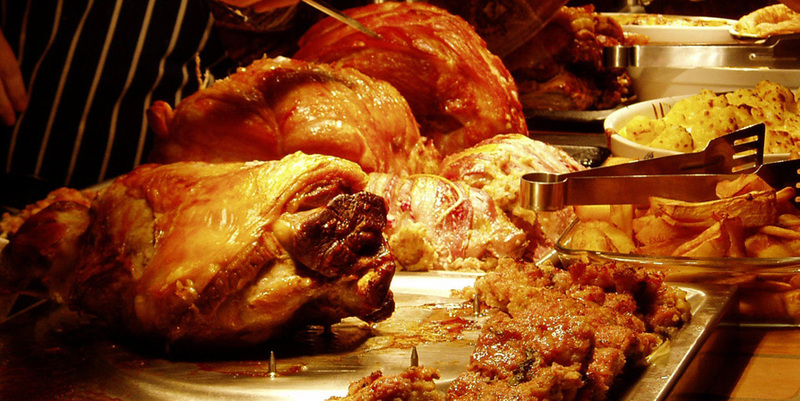 All foods are prepared on the day of the carvery to ensure the most delicious Sunday roast possible. Where possible, we source our produce locally, to not only because we are proud of our roots in the South West but we also think its right to support our local suppliers. Pictured Honey-roast Ham with Pineapple, Pork stuffed with Chorizo and Rib of Beef.